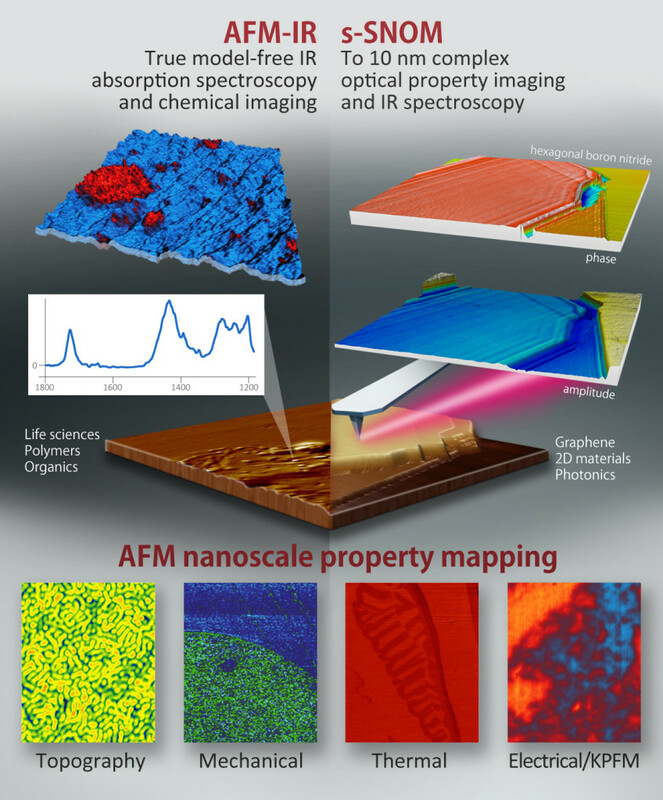 Santa Barbara, California – October 31st, 2016 – The SOLEIL Synchrotron, Saint Aubin, France, and Anasys Instruments, Santa Barbara, CA, USA, announce the world’s first commissioning at a synchrotron source of the nanoIR2-s, a nanoscale IR spectroscopy system, providing both AFM-IR and IR scattering SNOM (s-SNOM) capabilities with spatial resolution as low as 10 nm. The system is located at the SMIS spectromicroscopy beamline, which delivers high brilliance infrared radiation in the 2.5-100 µm spectral range. The beamline is dedicated to microscopic analysis of a variety of samples, spanning from condensed matter through polymer films and multilayers, minerals and other geological materials, biological and biomedical samples, to archaeology.